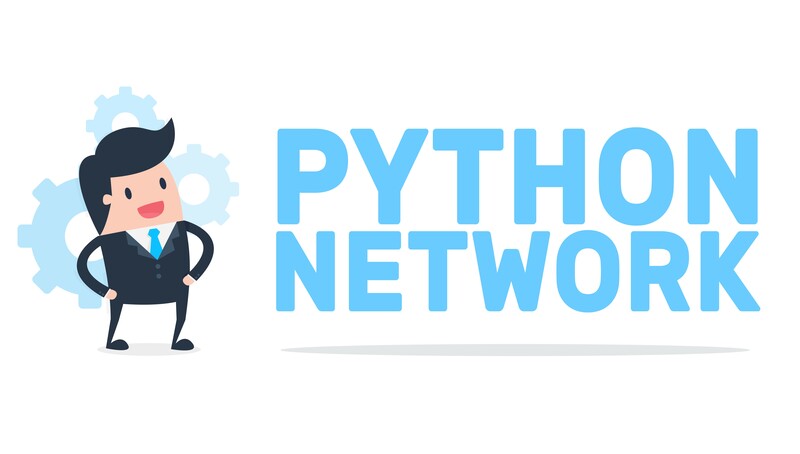 In this course you&apos;ll learn everything you need to know to start coding network applications in Python 3. I&apos;ll walk you through setting up your environment and getting started with using Python 3. I won&apos;t leave anything to guessing and will explain every line of code. This course consists of 5.5 hours of Full HD video material comprised of 25 lectures. You&apos;ll become familiar with basics of networking: internet architecture, IP addresses, Python TCP connections, Ports and Sockets. You&apos;ll discover core concepts of network communication and Python 3 network coding. I&apos;ll show you how to use Python 3 TCP sockets to create client and server network applications. We&apos;ll create over 15 different Python 3 networking applications and code application tools for hackers. I&apos;ll show you how to build a Python 3 IRC Bot and learn how to process IRC server responses using TCP sockets. We&apos;ll create a Python 3 banner grabbing tool using TCP sockets to connect to remote services and log banner messages. You&apos;ll code your own Web Server enumerator tool to scan web servers to find hidden directories or files using the requests library. You&apos;ll create a Client/Server tool for transferring files to and from remote systems using TCP sockets. I&apos;ll show you how to build a Stealth Port Scanner to scan remote servers using scapy without making a complete TCP connection to the server. We&apos;ll use the Paramiko library to make an interactive SSH Shell connection to a remote SSH server using Python 3. You&apos;ll build your own SMTP Username Enumerator to find user accounts on remote systems using TCP sockets. We&apos;ll develop a Python 3 sFTP tool to securely download and upload files to and from remote servers in Python 3. I&apos;ll show you how to connect to a remote POP Mail Server and retrieve email from a remote server. We&apos;ll create a SMTP client tool to read Email from a remote SMTP server using the smtplib library. You&apos;ll create your own a Man-in-The-Middle Python 3 tool to sniff internet traffic from a remote system. We&apos;ll code your own Host Discovery tool in Python 3 using scapy to locate live systems on a network using ARP, ICMP, and TCP methods. You&apos;ll also build a Data Scraping tool to harvest information from remote websites to locate IP Addresses, Email Addresses, and Phone Numbers of your target.